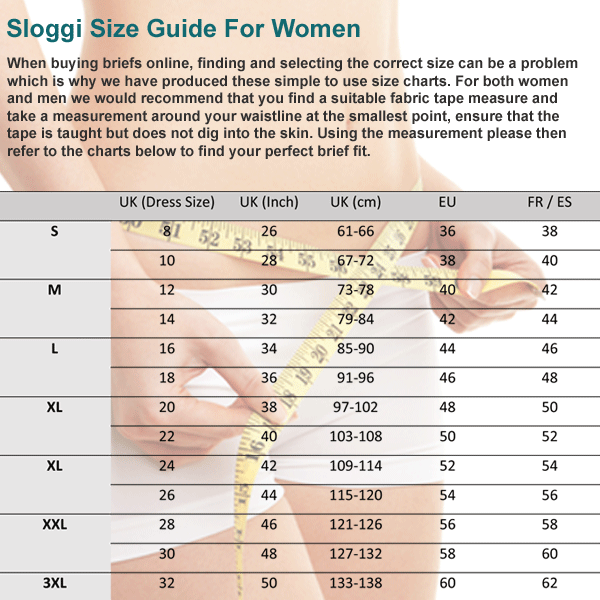 The Women's Sloggi 24/7 Microfibre Tai brief 3 Pack offers amazing value for money. With superb styling and a super soft material mix, this striking range of underwear features soft refined seams creating the ultimate in comfort. This great value Tai brief multipack is available in White, Black and Skin with UK Sizes 10 to 20. Travelling abroad recently to a very hot, humid country I was looking for briefs made of a 'breathable' material that would not be constantly 'sticking' to my body and requiring constant adjustment. I chose these and boy was I not disappointed! Absolutely perfect - great fit and kept me nice and cool all day long! Also quick drying after washing !